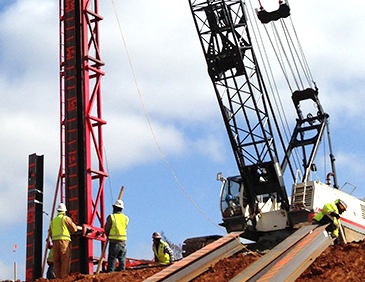 Delmag manufactures the world's best selling diesel pile hammers and drill rigs. Designed for a wide range of piling projects. Delmag hammers can be matched with an extensive assortment of drive caps and accessories providing the most productive and reliable packages available. 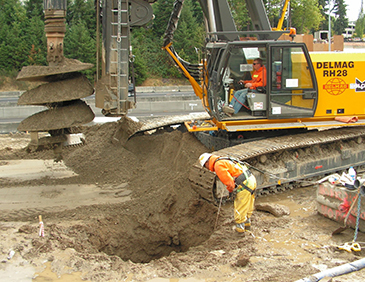 The Delmag diesel pile hammers are extremely rugged and reliable impact hammers. They work after the principle of impact atomization. Neither steam, air, hydraulic or electric units nor their disturbing and hazardous lines for power supply are needed. Delmag drilling rigs provide high usable length, high strength and stability. The modern RH series are used for shoring and foundation piles with or without casing world wide. 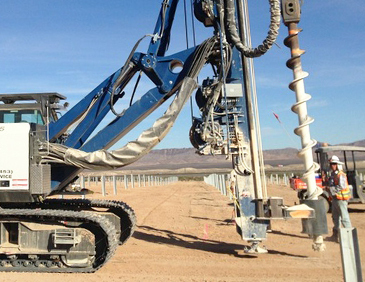 The Delmag drilling rigs can be equipped with a number of attachments. Beside the classical rotary heads, also the DDK system (dual rotary head) and the VDW system (in front of the wall) can be mounted. Delmag Rh 28 Drill RigLearn more about the Delmag Rh 28 Drill.